I just finished my first Buddha drawing. These are just stunning. I love the strong colours on the buddha, they are very much in line with its cultural context. Wow!! Thank you! 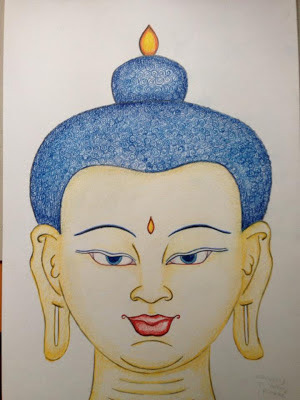 I am so excited...many more Thangka lessons to come! So interesting as well. Great atmosphere. Actually painting inside a temple!